What are this notes about? I had to learn this piece in 8-27-1963 in my first year at the music conservatory in Bern. The notes look like square notation, but the music was written in 20th. century. It’s nr. 102 of Bela Bartok’s “mikrokosmos”. Composers such as Béla Bartók started to look at the piano as a more percussive instrument and explored various techniques to achieve percussive effects. His Bagatelles and Mikrokosmos (the series of works for the instruction of young pianists) both contain unusual instructions to the pianist. 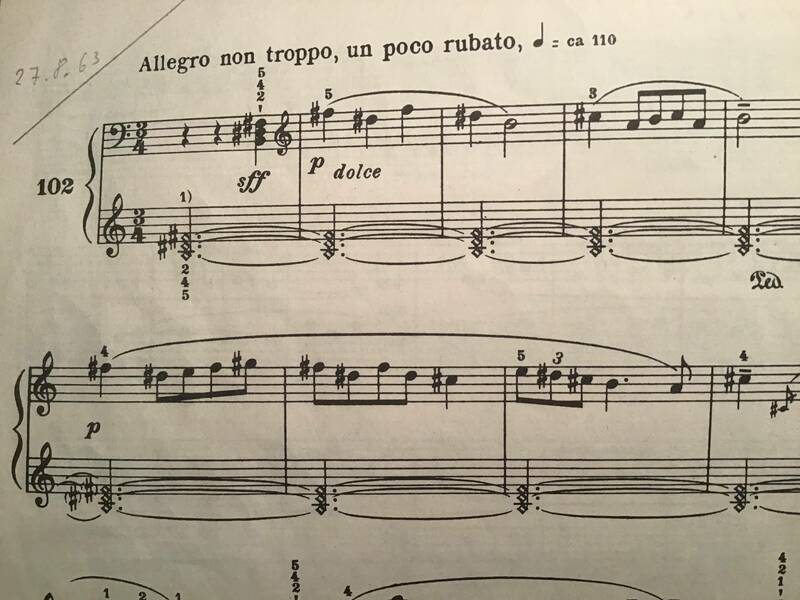 He even used special notation for certain of them: "hold keys silently" is indicated by square note heads rather than the usual round ones. Lastly, the "1)" above first chord probably indicates a composer's note somewhere in the score, so that will give you the definitive answer.